Now here's a fact you can wheel out at your next dinner party/awkward water-cooler moment: France has more than 1,200 varieties of cheese, according to the French Dairy Industry body. The British Cheese Board (we know), meanwhile, says there are 700 produced in the UK. So does that categorically mean the French are better at cheese the the Brits? Have they officially won cheese? Not, apparently, if you ask a pretty well-qualified pair of Frenchmen, who reckon the UK has some of the finest cheeses out there. 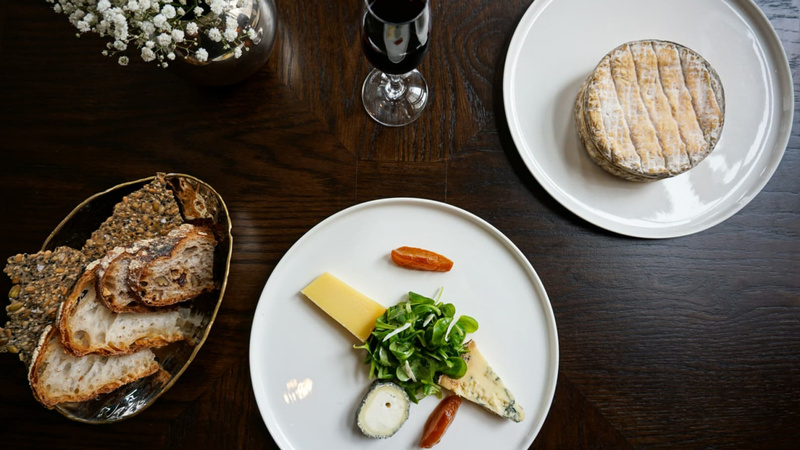 And to prove it, Michel Roux Jr and Nicolas Pasquier of the Langham hotel's recently revamped Roux at The Landau have given us their five favourite English cheeses, from magnificent cheddar to sheep's cheese from Cumbria that changes with the seasons. About the cheese: A raw cow's milk cheddar made on Ulceby Grange in Lincolnshire by Simon and Tim Jones. What Nicolas Pasquier says: "Cheddar is so ubiquitous and it can be either magnificent or terrible, but Lincolnshire Poacher is rich and tasty with a dense and creamy texture. As a Frenchman though I eat it simply with a fresh baguette – and no pickled onions!" About the cheese: A washed-rind pasteurised cow's milk cheese made by David Jowett at King Stone Farm, Oxfordshire. What Michel Roux Jr says: "The washed rind of the rollright cheese may be a bit too much for some people but for those of us who love the French classic Reblochon then look no further than this Cotswold gem." About the cheese: A soft raw cow's milk cheese made by Blackwoods Cheese Company, originally of Brockley and now of Common Work Organic farm in Kent. About the cheese: A blue pasteurised cow's milk cheese made by a cooperative in Nottinghamshire led by Billy Kevan. What Michel Roux says: "Stilton is the king of blue cheeses. One of my favourites and revered all over the world for its tangy taste. It's also a perfect excuse for a glass of port!" About the cheese: A washed-rind raw sheep's milk cheese made at Holker Farm Dairy in Cumbria by Nicola Robinson and Martin Gott. What Nicolas Pasquier says: "This is my absolute favourite English cheese. I'd never tasted anything like it before, it's complex, tasty and powerful. This sheep's cheese from Cumbria is very seasonal, and the best time to eat it is May – October, with its flavour becoming stronger as the season progresses."